Thank you to the lovely lady behind All Things Fashion Feed who nominated me to get involved via Twitter (@atff_) Seems like a pretty sweet thing to do, a fab way to meet new bloggers and a great network to be part of, so hey - why not? - Let them know they've been nominated. To be honest, I've blogged on and off for just under ten years. The earlier blogs were full of teenage angst and hormones [think 'Diary of a Wimpy Kid', but more like diary of a gimpy kid.] There were a few started when I was in uni, a few started post uni and I have a couple on the go now! 2. What's your blog about? Oh crikey. WELL. I'll be honest; I recently fractured my hip and had to have surgery to pin it back in place [grim I know, don't blame you if you skip over this bit.] So all the dreams I had of putting outfits together and getting loads of fab images have kind of fell by the wayside, as I now reside in bed / in a wheelchair / on NHS crutches that I can't customise with rhinestones. The only outfits I get to 'style' these days are pjays and my baggy tracky pants, with a different vest top on rotation. So in answer: it literally covers everything. All aspects of a twenty-something-year-old girl's life: beauty, fashion, love, lust, mistakes, inspo, gossip and general life. As the name of my blog suggests, my posts rotate heavily around the themes of Love, Laughs and Lipstick - all you need is love, a smile on your face and a little slick of lippy to feel good in a morning. And hopefully my posts can give other bloggers that feeling too. Since becoming bedbound - and in between naps, medication and hospital appointments, I have been doing some obsessive online shopping. eBay, TopShop and Next have all took heavy hits with my credit card(s) since returning home. 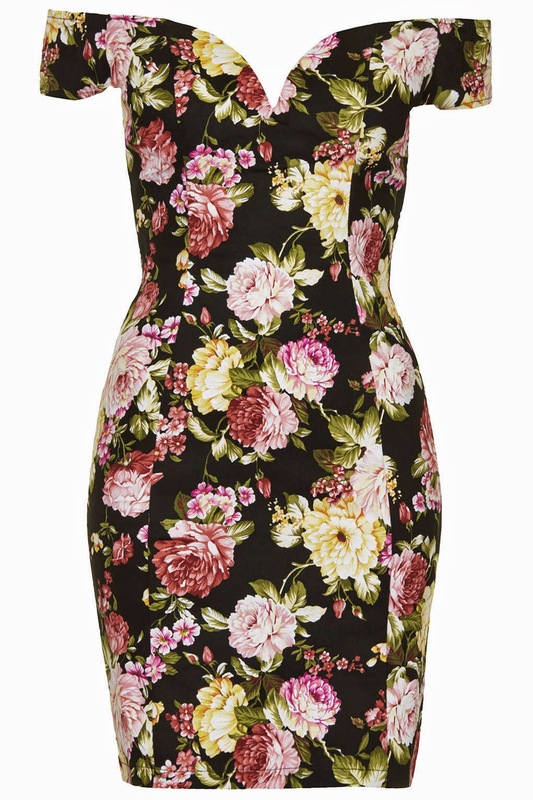 My favourite new purchase at present (before the next flurry of deliveries arrive) is a gorgeous cut out bardot dress from Rare Fashion @ Topshop - half price in their amazing sale.It's such a beautiful dress; with thick, almost denim like material, which really pulls you in and doesn't cling too heavily around the stomach. Either that, or I also bought a new plum lippy from TopShop in the colour 'Twin', to test out dark, vampy lips for autumn. I mean, I looked like an outcast from the Addams Family last time I gave it a whirl, but I do have to remember that in my current medical state I am not at my prime and have to be forgiving towards my own grimness. This is definitely a TBC question - I'm too new to the blogging world to have picked out my all time favourite. I have seen some bloody brilliant blogs as I've been trailing through Twitter recently; kudos to you all. Got to be honest - I admire a lot of people (some famous, some friends, some bloggers, some people you just stumble across via your daily stalking and fall a little in love with ... don't pretend you haven't done it) and their style, but there isn't just one person I could say I model my style off. I'm not one of those dead out there people, my style isn't super quirky and I would look like a first class bellend if I tried to pull off some of the looks I see making it big these days. But I take influence from a lot of trends, particularly those regarding hair and beauty, and try to work them into my day to day look. 6. Favourite makeup product you can't live without? 7. Most expensive item you own? Let's face it - I shop at Poundland most of the time haha. For makeup it has to be either Rimmel or Eyelure - Eyelure because life without their 107 Naturalite Lashes would be a travesty and Rimmel because their affordable prices and solid product fill pretty much the whole of my makeup bag. Supermarket make-up which does the trick and stays within the constraints of my overdraft. NICE. For clothing, I love TopShop, Lipsy, Forever 21, Primark, H&M and American Apparel. However, there is only one of those stores I can afford to shop at for the moment... and it begins with a P and ends in a mark. Well now I'm bedridden, my life has changed quite a lot. I'd say my eBay obsession takes up 90% of my spare time, and the rest is spent weeping over Animal Rescue programmes on TV. Tragic but hey - maybe when I'm back on my feet I can report back a more captivating response. HOUSEWIFE. Without a shadow of a doubt. Just with a fella who works a lot of hours so I could just spend my days shopping and in the steam room at the Spa. Coffee all the way. It's my vice. A nice little latté and I'm happy as larry. Whoever he is. 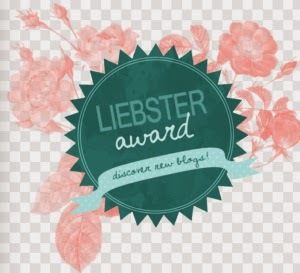 I don't know HOW to tag people in blog posts, so the next stage for this post will be tagging some lovely tweeps on the old TwitterBook to pass on the baton of Liebster goodness. What would be the one piece advice you'd give to other bloggers just starting out? Let's get better connected - click to follow my blog on Bloglovin', or get involved with your Google Profile.